Will oil prices rise to $70 per barrel this year or fall to $30? Depends on who you ask. Oil price forecasts are always all over the map, but the exceptional disparity between some projections for 2017 is pretty stunning. On the one hand, you have Citibank, which sees oil shooting up to $70 this year as supply continues to tighten even as demand rises. Citi acknowledges the headwinds in the near-term. 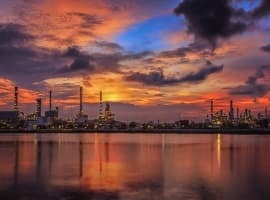 "Oil prices are not likely to stray far from their current $53-58 per barrel range in the near term as record investor net length and bearish inventory data will likely cap prices until more tangible evidence of a tighter market emerges," Citi analysts wrote in a recent research note. However, they see oil prices posting much stronger gains in the second half of the year. "The world is awash with oil at the moment and there continues to be endless supply so therefore I don't see a real reason for prices to rise above $60 or $70…so I'm really seeing probably the risks of the prices falling below $50 for a considerable period of time and probably even touching the levels of $40 to $45 this year," Eugen Weinberg, Head of Commodity Research at Commerzbank, told CNBC's Street Signs on February 21. Some oil watchers are even more pessimistic. Unless OPEC extends its production cut for another six months or so, crude prices could plummet to $30 per barrel, according to ABN Amro Bank NV. The OPEC deal has succeeded in already taking roughly 1 million barrels per day off of the market, but the supply/demand balance is not as tight as OPEC members had hoped it would be at this point. 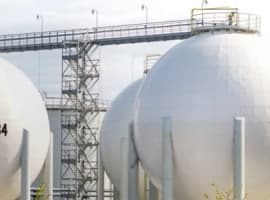 Prices have firmed up, but oil and refined product inventories are still rising in the U.S., with crude stocks at record highs and gasoline inventories also at their highest level in decades. The OPEC deal is helping, but new output from the U.S., Brazil, Canada, and even OPEC members like Libya and Nigeria are offsetting some of those reductions. If OPEC were to abandon its deal in June, and begin producing back at the levels seen in 2016, the market could crash. Prices are in exceptional danger because the gains stemming from the OPEC deal are already priced into the market. A further tightening of supply is baked into today’s price, so even if OPEC maintains a high compliance rate over the next few months, the oil market might not see any more large price increases. “[W]e don’t see any upside from OPEC anymore,” van Cleef told Bloomberg. The downside risk, on the other hand, is very real. Which brings us back to the extraordinary buildup in bullish bets on oil futures. Hedge funds and money managers are near unanimous in their belief that oil prices have more room to grow. But since there is little sign that more supply will be taken off the market beyond what OPEC is cutting, then the adjustment may continue at a painfully slow pace. At some point, investors might grow wary of this protracted process and abandon their bullish bets. If crude and gasoline inventories continue to rise, that could force bulls out of the market. The WSJ cited an estimate from JP Morgan analyst David Martin, oil prices could suffer a swift decline of $5 to $10 per barrel if the U.S. sees another few weeks of strong inventory gains, a sharp loss that would occur as investors unwind their bullish bets. To DanD: in 2013-2014 yes I would agree with you. but break-even point in 2017 is way lower than it was! most US shale can survive now with price $40-45. And Trumps promises to create even more jobs will push shale to work. The Saudis are tired of watching the money blow away even if they are still taking huge numbers. They don't see it as a stable gain, they view it as a missed opportunity. The operating cost for shale is down very low and if the prices are around 70 the Saudis will take more regardless. The previous administration was favorable to the Saudis, why? I don't know, but now the Stateside oil is going to be flowing and the US will pay a little more to keep it here. I don&amp;#039;t see anything about consumption mentioned in the article. If Trump is able to put some tax cuts/replace obamacare we could see a real healthy economy. Maybe even to the point where there is a global economic boom. Production is the bigger part of the equation but consumption should figure into the picture as well. I thought it cost @ $50 to produce a barrel. If the price goes below cost, wouldn't drillers halt production until the price rebounded? The bears don't seem so believable. Everyone blames US shale for keeping prices down. Its actually the record production from Iraq, Iran and Russia all coming online in late 2014, all 2015 and 16. They shot up production over 4 mbp in two years. US oil production is actually down more barrel count per day than opecs limited cuts. Stop blaming shale when it Obama's middle east oil policy which killed the price. It's hard to believe everyone believes OPEC can still control the price of oil.....those days are well behind them. The U.S. supply of oil will continue to keep prices depressed for the indefinite future. The oil producers of the world cannot; to slow production in a material way - their debts continue growing everyday. I the price of oil will sustain a material decrease this year and remain there for several years. The only outlier, a major military outbreak in the Middle East which severely affects production.